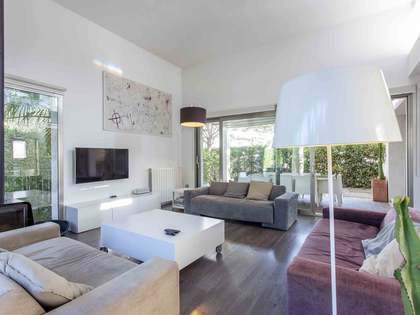 High quality, designer villa in perfect condition for sale in the community of Torre en Conill de Bétera. 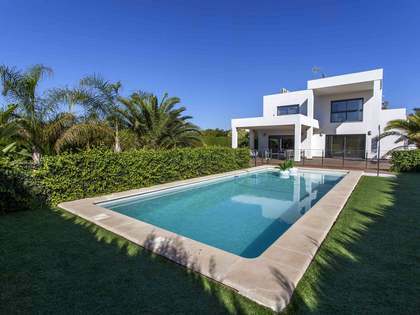 This designer villa is located in the quiet community of Torre en Conill de Bétera, an area very close to the golf course and all kinds of services offered by the community, including 2- hour security and public bus services. The house was built 15 years ago but remains in perfect condition. It is a high quality villa with a lot of design features, and has featured in a prestigious interior design and decoration magazine. On the ground floor is the hall with stairs leading to the upper floor, a large kitchen with laundry and access to the dining room that is connected to the living room. There is also a double bedroom with a complete bathroom with shower. The first floor houses the master bedroom with a walk-in closet connected to the complete bathroom, with a large bathtub and shower. A hallway gives access to 2 double bedrooms with a shared bathroom. This floor has an open space to the ground floor with a glass railing. The basement has a room used as a study or play area, a storage room, a pantry connected to the kitchen through a dumbwaiter, and a 4-car garage of more than 100 m². Landscaped areas surround the house, but it is in the back where there is the largest garden area, the pool, the barbecue and a bathroom with a shower. 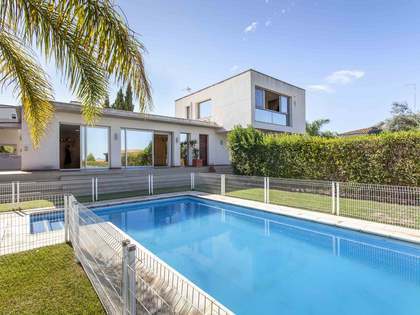 In this area there are also 2 terraces, 1 of them covered with an area of about 20 m² and another uncovered next to the pool with an approximate area of 30 m². 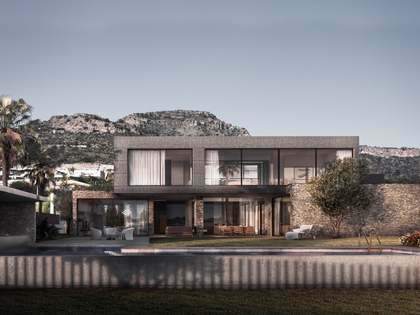 The house has top quality finishes such as high ceilings, wooden doors, windows with security glass, built-in wardrobes, natural gas heating, a central vacuum for cleaning with a new installation machine, natural and wooden floors, a dumbwaiter and an interior and perimeter alarm. An incredible opportunity to acquire a designer villa in perfect condition located in a quiet location. 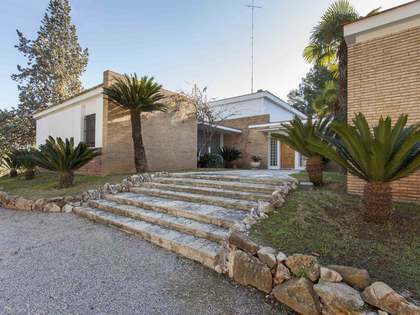 It is located in the quiet community Torre en Conill de Bétera, in an area very close to the golf course, the supermarket and other services offered by the community. In addition, it has 24-hour surveillance and a public bus service that connects with the centre of Valencia and the Bétera train station.